There’s a reason that you’ll find at least one credit card in just about everyone’s wallet: they give you an incredible amount of financial flexibility and, if used responsibly, cost little to nothing to use. However, not everyone has the credit history to easily get a typical card extended to them. A secured credit card is a simple option to get some credit coverage during a period in which you have a low or non-existent credit score. Secured credit cards work by taking an initial deposit made by you, the cardholder, and extending a line of credit based on that first lump sum. The lender holds that money for as long as you hold the card, using it as collateral to ensure that any debts you incur will be paid even if you fall far behind on your payments. Don’t worry about losing that money: if and when you ever cancel the card, the deposit money is returned to you in full. By using it as a deposit, you’ve only given the lender temporary control over it for security reasons. Since the limit on a secured card must scale with the deposit in order for the concept to work, it’s usually quite low – sometimes only a few hundred dollars. This type of card also won’t allow you to purchase much more with it than you could have afforded by paying cash, since you had to have an equivalent amount of cash in order to get it. However, it’s extremely easy to qualify for this type of credit, which makes it a solid option for those who have been turned away from other types of credit. Not only do these credit cards give you some financial freedom, but they can also help you improve your credit score. By using them responsibly, you’ll be establishing proof that you can be counted on to repay debts, which will in turn increase other lenders’ confidence in you. These cards are one of the easiest and most effective ways to build a credit history in order to get access to larger loan amounts and premium interest rates in the future. Eventually, you may be able to prove sufficient creditworthiness to be entrusted with a mortgage or business loan that will allow you to make a significant investment in your future. These cards are treated identically to any other credit card in credit score calculations, so despite the extra caution on the part of the lender, you’ll reap the same benefits as you would from any other line of credit. This strategy works for both those who have suffered from bad credit in the past and those who have no credit history at all (which can be just as bad!). Whether you’re recovering from a financial setback, new to Canada or just too young to have had the time to build a credit score, a secured credit card is the tools you need to get started. Here at Bonsai Finance, secured credit cards are just one more financial product we help bring to you. Our online portal gives you access to a wide selection of secured credit cards from trustworthy lenders with affordable deposit amounts. You can compare any applicable fees and required deposit amounts to find the best deal out there. All you have to do is fill out your application, send over your deposit, and start using your new card. Buy the things you want or need right away and keep on top of your payments, and over time, you’ll create the credit score you need to get ahead in your financial life. Remember, it’s never too early or too late to start. Who are suitable to apply for secured credit cards Canada? Anyone can apply for the secured credit card Canada, however, they are most suitable people with a tarnished credit history or those with no credit history. Most students fit in this category are they are starting out on building their credit score. Another category of such people includes the newcomers in Canada. These could be temporary residents, direct migrants or refugees. Such people do not have a credit history in Canadian banks and financial institutions as well. Canadians with bad credit can also use secured credit cards as an alternative source of funds. Since such people are assumed to have been unable to take responsibility in the past, the deposit required in the secured credit card is to be used as collateral by the lender, in case they are unable to repay the loan. What are the common causes of bad credit? Late debt payments- If you do not honor the debt payment date, it lowers your credit rank. When your debt is charged off- This is a situation where the borrower seems to have neglected the debt and the creditor charges it off, however, charging off does not entirely write off the debt. The lender may use debt collection agencies to try obtaining the debt from you. This means that you have failed to take responsibility for the debt and affects your credit score. If you file bankruptcy it may negatively affect your credit history. Foreclosure- This is when your home is repossessed after failure to finance the mortgage. Fees and penalties- Credit cards are characterized by charges such as transactions fees, cash advances, and balance transfers. Penalties include late payments. Knowing about them will help you avoid or minimize them. Interest rate- Annual percentage rate is one of the rates to look out for. When choosing a lender for your credit card, consider one with favorable interest rates. Credit limit- This is the amount of money you can borrow from the card issuer. Depending on your financial situation, you should choose a card that will suit your financial obligations. Your spending habits- You should always have a clear reason for a credit card. This way, you will not spend your loan on unimportant purchases. You will also be able to learn how to manage your finances in the process. With credit cards, you can easily make your purchases without having to carry money around. Some of the businesses such as airlines may also not accept cash. Credit cards can be used as a source of reference or a proof that you paid for something. This may be used in case the product or the original receipt cannot be traced. Credit cards may also come with some awards such as discounts bonuses among other benefits. You can use the credit cards as a way to build your credit history. In case of emergencies, credit cards are a quick source of funds to cover that. Secured Credit Card Canada can be a great alternative to make your life easier. Credit cards, however, need financial discipline if you are going to use one otherwise they may lead to bigger financial problems. When you need a credit card, do not hesitate to contact us at Bonsai Finance we give the best financial advice and in addition to that, connect you to lenders who will provide affordable secured credit cards in Canada. If you have experienced issues with overspending on credit cards in the past, these limitations can be an excellent way to help save you from yourself. Unlike a typical credit card that offers you the use of money you don’t actually have yet, a secured card only allows you to use money that you have already acquired and set aside for this purpose. This forces you to keep your spending in check whether you like it or not. It’s like having a separate account that you only use to make purchases, except instead of relying on your own willpower to not spend more than you have in that account and worrying about potential overdraft fees when the funds start to run low, all of these things are enforced by an outside party (the credit card company). Just make sure you choose a secured credit card Canada that actually does omit overdraft fees, however, or you might still run into trouble on that front. As children get older, parents often find themselves wanting them to have access to credit for emergencies, credit-building, cash flow purposes, or even just to learn responsibility. If you’re looking for a credit card for your child (whether it is to be their own or one in your name that you simply give them access to), a secured card is probably your best bet to avoid possible issues. The main benefit of giving your child a secured credit card instead of a standard card is that it limits the potential problems that you might encounter if they misuse it. Someone who has never had access to credit before may not immediately understand that it is not a way of getting free money, but rather a way of tapping into funds you don’t have at your disposal just yet. This is a basic fact about credit use, but from the perspective of a beginner, it may not be obvious. Without the proper perspective in place, a child will almost certainly not use the card appropriately at first and may spend too much or rack up high interest fees by failing to keep up with the necessary payments. Giving your child a secured credit card Canada from the start allows you to circumvent this issue. If they succumb to temptation and spend more than they are supposed to, they will only be able to do so for so long before they have their deposit confiscated and the matter is resolved. Ideally, things will never get to that point and you will be able to step in when the problem is still manageable – but if not, things can’t spiral out of control on you the way they might with a traditional credit card. A prepaid credit card would provide most of these boundary-based benefits as well, but it wouldn’t provide the ample learning opportunities that are available with a real credit card that needs to be managed with monthly payments and interest fees.These are important things to be able to practice when the stakes are relatively low. It also doesn’t help build a credit score, as a secured card would if it was in your child’s name. Coincidentally, these cards are among the easiest to get, which is another thing that make it perfect for young users. Secured credit cards promote responsible credit habits and can be a great way to guarantee yourself some access to credit when you might otherwise find yourself struggling to get it, but most people do not intend to stay dependent on these kinds of cards forever. The good news is that you probably won’t have to. 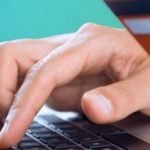 Not only will your use of a secured credit card Canada have shown banks and credit card companies that you are trustworthy via your credit score, but it will probably also have taught you the credit skills you need to successfully make use of a standard card without getting yourself into trouble. All of these types of cards usually charge enough in interest that you do not want to get carried away with your spending while using them, but if you take care to form good habits while still using your secured card, you should be able to keep yourself safe. If you eventually make this move, you could free up the money from your deposit and gain access to all the fun rewards cards everyone is always talking about. Because secured credit cards are relatively easy to get, it might be tempting to just settle for the first one you see. This is understandable, but it’s also a mistake. Just because you can easily get approved for one of these cards doesn’t mean it isn’t worth shopping around for something better. 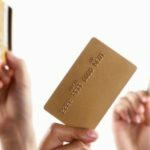 You can usually find a card with better interest rates, low or no annual fees, better benefits, and many other favourable points if you stick it out and consider all your options. If you choose to do this, you won’t be alone. Through our network of partner lenders, Bonsai Finance will show you the best options for a secured credit card Canada has available. With us behind you, you’ll never need to settle for less than the best.